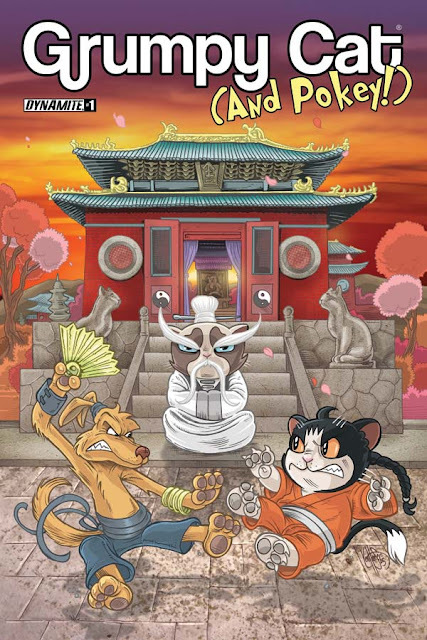 Written by Ben Fisher (Smuggling Spirits), Ben McCool (Captain America and the Korvac Saga), Royal McGraw (Detective Comics), and Elliott R. Serrano (Army of Darkness), and featuring art from Ken Haeser (The Living Corpse) and Steve Uy (Avengers: The Initiative), the breakout series' third issue released in stores last week, bringing to close its first Grumpy Cat miniseries... although new misadventures are just around the corner, as a new series entitled Grumpy Cat & Pokey will debut in February 2016! 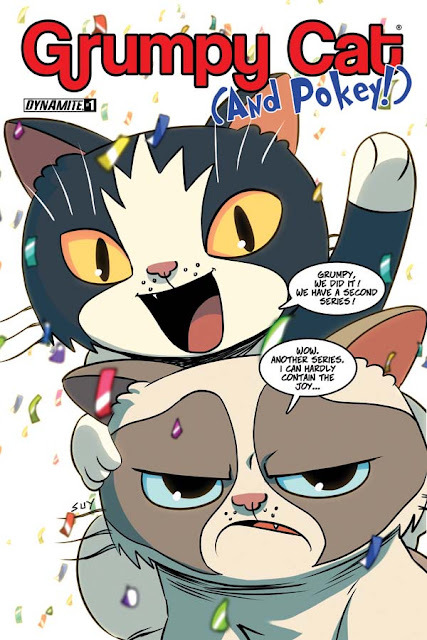 In The Misadventures of Grumpy Cat & Pokey hardcover, Dynamite proudly presents the comic book hijinks of "The World's Grumpiest Cat" and her brother, Pokey! 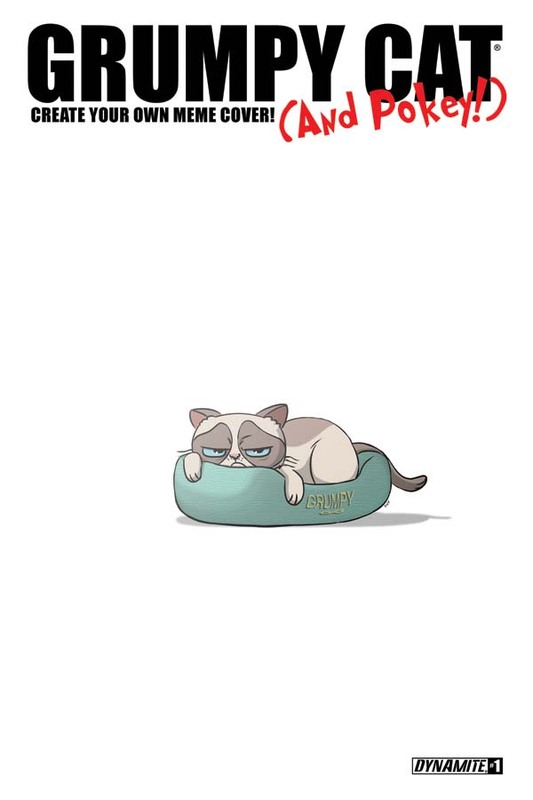 With her ever-present pout and sassy disposition, Grumpy Cat has won the hearts of people everywhere. Now, her unbearable cuteness and infectious sourpuss are featured in an all-new, all-sensational collection of comic stories, sure to make fans of all ages laugh! 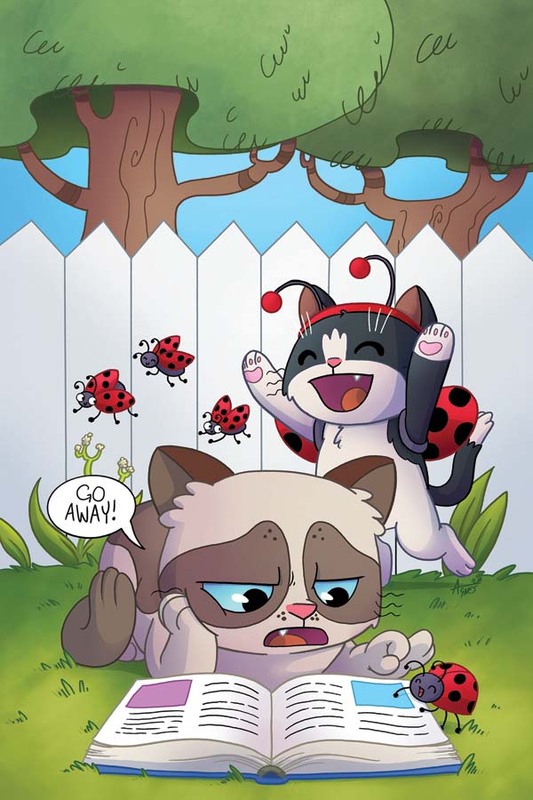 If you love the memes, the videos, and that irresistible scowl, then get ready for the wildly fun antics of Grumpy Cat and Pokey! Nick Barrucci, CEO and Publisher of Dynamite, says, "Working with the fine folks at Grumpy Cat has been absolutely wonderful. And although I'm sure the cute little curmudgeon herself may have a stereotypically grouchy opinion of the comics, we're so very pleased with how they've found an enthusiastic audience, how remarkably well the collection has pre-sold, and how many new misadventures we're dreaming up for next February's all-new Grumpy Cat series!" Comic book retailers, check your December-dated issue of Previews for ordering info. The Misadventures of Grumpy Cat & Pokey arrives on shelves in comic shops and bookstores everywhere in February, value-priced for parents and fans of all ages at $12.99. 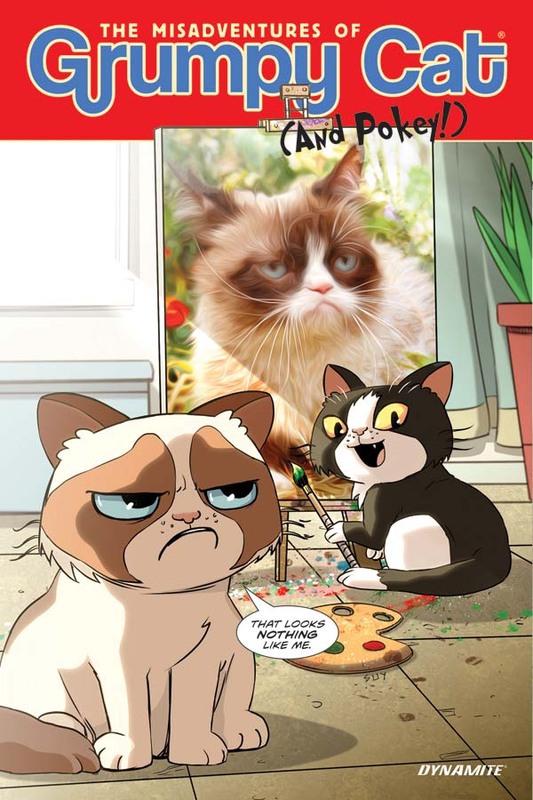 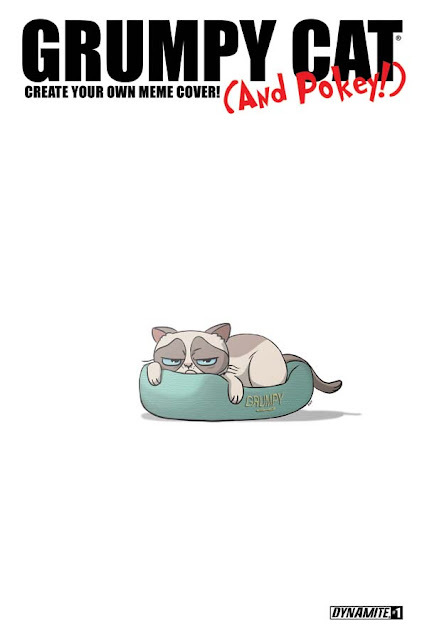 Grumpy Cat will also be available for purchase through digital platforms courtesy of Comixology, Dynamite Digital, iVerse, and Dark Horse Digital.